It’s a lifesaving skill and something as a parent I feel invaluable for my kids to learn. I’ve taken my eldest swimming for fun but I thought it time to give her proper structured lessons. I’m not the only one, many of my parent chums are doing the same but we all seem to be experiencing the same swimming lesson hell and I thought I must share my frustrations!!! She’s been 3 times now, in the ultimate beginners class, but there’s many bug bears already that I would like to get my readers feedback on too. They have to sit on the edge while each child individually does the activity but meanwhile the kids are shaking with cold. Luckily my friend gave me a wet suit cut off at arms and legs which stopped the unnecessary shakes from the cold. I felt quite chuffed solving that problem but then hit the next BIG problem! 2nd week she had a strong start with the activities while using floats but then they took the floats away (on the second lesson!!!) Which in my opinion is far too soon. This meant that while she was swimming on her back ( loosely supported by a student helper) she swallowed an inordinate amount of swimming pool water which would put any one off!! And to round off the class the teacher decided it would be a good idea to do a jump in at the deep end! This methodology is fine for the confident kids but for the ones who find it scary to go underwater it’s a life off-putter. So there is the argument that you should confront your fears to over come them but the opposing view is it only takes a few things to happen like this to put someone (who normally loves the water) off for life!! I know this for a fact as someone I know very well had such a bad experience in his school swimming lessons that he still remembers it now and won’t go near a swimming pool because he was pushed in at the deep end and nearly drowned. We have worked hard to get our daughter to love the water not for it to be recked in one afternoon buy swimming schools that think that tough love is the best option! The classes are back to back so there is no time for discussions before classes start. So I rung them up, they were very pleasant and condoned their teaching approach stating that introducing such things as jumping in at deep end early on doesn’t create such a build up to it and although they don’t do it every week it is good to get them out of their comfort zone. I can see this methodology would work for some children but this tough love approach will not work for all and although I was assured they take all variations into consideration I saw no evidence of it being demonstrated so far! I was made to feel like ‘one of those mums’! I’ve been at both ends as I was a teacher and so I’ve had my fair share of parents views and the odd misplaced complaint but in the end with a lot of water in the mix and the potential dangers abound, it’s your child, no one looks out for your child but you and I wouldnt be doing my job if I didn’t mention it. Shouldn’t this be made FUN? Where’s the fun? At nearly £10 a lesson shouldn’t it be informative but FUN too? So it was suggested I write an email to the teacher explaining my concerns which I did, and so the third lesson came round. To their credit they did treat her like they were aware of her worries and maybe it was taken on board we shall wait and see. It seems to me there will always be this concerned parent versus fascist school sports teacher or army mentality attitude swim teacher. A combo that will always see a few sparks flying and tears streaming ,But ……. does it gets results? Has your child been to swim classes that sound like these, did it work? Can your child swim? How did they feel about the classes? I would love to hear your feedback please! 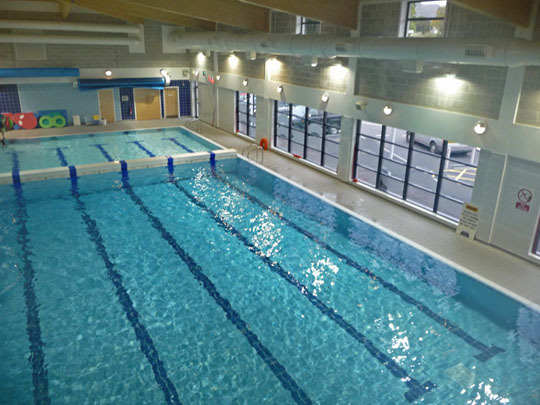 2 Comments: "Chlorine, tears and verucas – the joy of swimming lessons"
I’m of the opinion that they should be encouraged to get in the water ASAP… Once they’re in, and happy that they can swim with armbands or floats, you can gradually coax them out a little bit further each time. They can’t put their feet down that way, but they still know that they’re capable of swimming the distance you’re asking them to cover. I never used to like going out of my depth, but once you’re aware of how to tread water, float on your back, and so on, you’ll be swimming to the deep end and back again without a second thought. I hated swimming as a youngster, I absolutely love it now! I agree! you should be a swim teacher! I am interested to know why you hated swimming as a child, was it because of a bad experience?